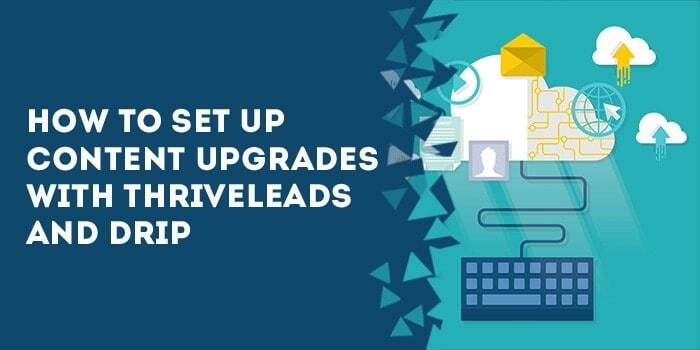 This post shows you a step-by-step procedure for adding content upgrades to your blog posts using the ThriveLeads WordPress plugin and Drip email marketing app. This is the exact process I use to add content upgrades to all my content. Here’s the video walkthrough (you might want to watch it at 2x speed since it’s quite long), and the text version of the guide is below. What’s a content upgrade and why should I offer it? A content upgrade is an offer for a free download – such as a checklist, an eBook, a video, or anything valuable that complements the content of a blog post. 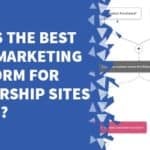 The idea is to give additional value to your readers by offering them a useful resource that relates to what they’ve just read, and makes it easier to take action. Readers give you their email address (“opt-in”) in exchange for this free resource. You can then tag them in Drip and trigger campaigns and automations. *Note: you don’t need to have an Airtable account to use this guide, but I recommend you sign up because it will help you stay organized and is vastly superior to Google Sheets (plus, it’s free). 2 – In the Overview tab, start a new row and fill out all of the fields that relate to this content upgrade. (C) Description – A brief, 3-part description of the content upgrade (WHAT it is, WHO it’s for, and WHICH result it helps the person achieve). A link to the Google Drive folder that contains our hiring procedures for Eastern European contractors. People who are interested in hiring talented, inexpensive workers to help them grow their business. Helps online entrepreneurs bring on talented team members while avoiding common pitfalls of the hiring process. (E) Shortname – create a unique shortname to easily identify the content upgrade at a glance. 3 words max. (F) Drip Tag – The name of the tag we’ll apply in Drip to subscribers who optin for this content upgrade. The tag name is automatically generated once you fill out the shortname field. (G) Confirmation URL – The URL subscribers are taken to immediately after opting in to receive the content upgrade. *Note: subscribers will only be redirected to this URL if they’re NOT already a contact in our Drip account. If they’re already inside Drip, they’ll be redirected to the download page to access this upgrade. (H) Download URL – The URL subscribers are taken to immediately after CONFIRMING their subscription. OR, if they’re already subscribers, the URL they’re taken to in order to download the Content Upgrade they signed up to receive. *Note: when somebody opts in to get the content upgrade and they’re NOT already a contact within Drip, they’ll be sent a confirmation email which asks them to click a confirmation link to verify that they want to hear from us. This is the “double optin” or “confirmed optin” procedure, and we follow this at all times. (I) Attachments – If this content upgrade is a downloadable file, upload it here. (J) Blog posts containing this upgrade – A list of blog posts where we offer this Content Upgrade. This is a Linked Record. So you don’t need to fill this out yet because we first have to create the records that we’ll be linking to. 3 – Now navigate to the Posts tab and fill out the following fields. (A) Post Title – This is the title of the blog post as it appears on the blog. (B) URL – URL of the blog post. (C) Website(s) – This is the root domain of the website. (D) Content Upgrades – This is a linked record to select the content upgrade that will go on this post. (E) Upgrade Deployed? – Once you’ve finished all of the steps in this procedure and the content upgrade is on the post and working correctly, check this box. 4 – Login to WordPress on the site where you want to add the content upgrade. 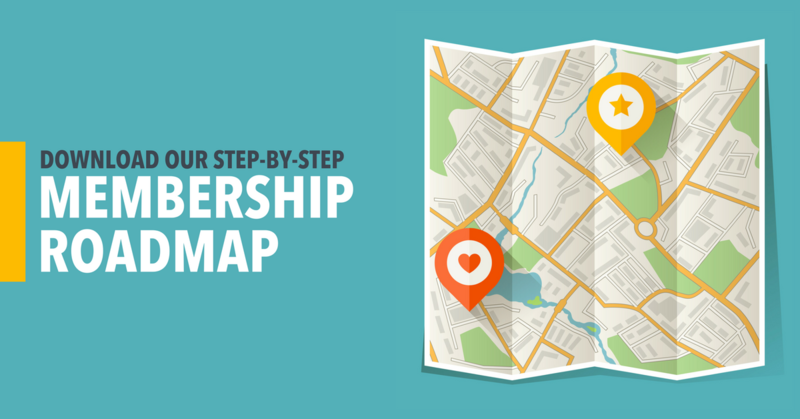 5 – Navigate to the ThriveLeads dashboard. 6 – In the “Lead Shortcodes” section click the ADD NEW button. 7 – When prompted for the name, enter the shortname from the Overview tab in our Content Upgrades Airtable base. 8 – Next, click CREATE FORM and type in “Original”, and click the CREATE FORM button. 9 – Click on the blue pencil icon (EDIT DESIGN) to open the form designer. 10 – Select multi-step templates. 12 – Rewrite the Hook (A) and the Main Copy (B) to reflect the Content Upgrade that we’re offering. The Hook should be catchy and the Main Copy should advertise the benefit of the Content Upgrade – and click Save changes. *Note: the screenshot below says tc-lightbox but the correct value is to-lightbox. 15 – At the bottom of the screen click on the Lightbox 1 state link. Scroll down to the Raw Paste date field and copy the HTML code on the page to your clipboard. 18 – Paste the code into the ThriveLeads field you opened in step 16 and save. Now you’ll see a new style of form has appeared. 19 – Click on the main container of the form (indicated by the “X” in the screenshot below), and then change the width to 970. 21 – On the popup menu that appears, click on the Connect with Service field. 23 – Select HTML Form Code from the dropdown. *The reason we use the HTML form code option and NOT the API option is because it gives us greater flexibility in defining custom fields, and makes the “confirmed optin” process smoother using Drip forms. There is no abundant advantage of using the API option; in fact, the HTML form code option is superior for this use case. 24 – In a new tab, open our Drip account and navigate to Forms. 26 – Scroll down to the bottom to the Fields section. And now click Add Field (D) and then click Save Settings at the bottom of the page. IMPORTANT: Click “Save Settings” at the bottom of the screen now. 28 – Scroll up and in the Design section select the Embedded link. 29 – Copy the HTML code from this field, go back to your Thrive form, and paste it in the box that you opened in step 24 and click Generate Fields. 31 – Go back to Drip. In the Content section of the form settings you have open, click Post-Signup. SECONDO – An abbreviated version of the name of the content upgrade. You’ll have to make the name of the content upgrade short so it fits in the email subject line. In this example, the content upgrade is called How we hire rockstar team members in Eastern Europe which is far too long for an email subject line. So I abbreviated the name to Your Eastern European hiring doc, which is short enough to fit into the subject line but descriptive enough that the person who opted in will recognize that it’s what they signed up for. TERZO – A smiley face. 36 – Scroll down to the Raw Data section and copy the text inside the box to your clipboard. 38 – Per the screenshot below, paste the Download URL value from our Airtable base into the Custom Post-Confirmation Page field (A). Then CHECK the Send subscriber data to post-confirmation page checkbox (B). 39 – In the Design section of the form settings, make sure that the Enable the widget field is NOT checked. 40 – Scroll down to the bottom of the page and click SAVE SETTINGS. 41 – Scroll up to the top of the page and click Activate Now. Click Generate Fields and then click Save Changes. 43 – Click on the green Save Changes button in the upper right hand corner of the page to save the form. 44 – Go back to the ThriveLeads dashboard. In the Lead Shortcodes section you’ll see your newly created form. Copy the shortcode to your clipboard. 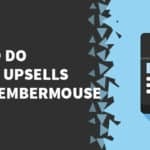 46 – Save your blog post, open it up, and test the form to make sure it looks the way you want, and functions correctly. 47 – Go back to the tab where you have Drip open and navigate to Campaigns in the main navigation. Where “shortname” is the shortname value from our Airtable base. 50 – Navigate to the Emails tab. 51 – Click on the first email in the sequence. (A) – Change the Title to reflect what Content Upgrade the subscriber is receiving. (B) – Also change this body text to reflect what Content Upgrade the subscriber is receiving. (C) – Paste the Download URL from our Airtable base for this content upgrade here. (D) – Change this body text so that it describes this particular content upgrade. 55 – Per the screenshot below, change the piece of copy with the red box around it so that it reflects the topic of the Content Upgrade this subscriber received. 56 – Towards the top of the page click on the link that says Draft and then click Activate. 57 – Navigate back to the Forms section in Drip and open the form you were previously working on that corresponds to this Content upgrade. 58 – Click on the Rules link in the navigation. (C) – Select the campaign you just created in step #49. 60 – Click the Add an action button below the rule you just created in order to create another rule. Select Drip as the trigger app (A) and Apply a tag as the action (B). Go to our Airtable base and copy the contents of the Drip tag field that corresponds to this Content Upgrade. Paste this value into the field underneath What tag should we apply section (C). 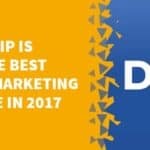 What's the Best Email Marketing App for Membership Sites in 2017?